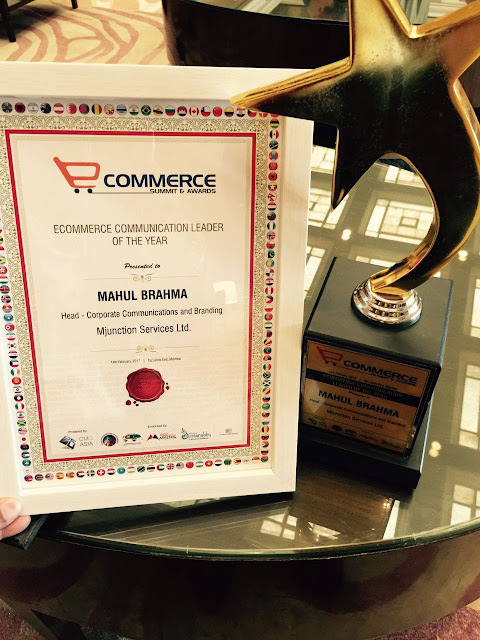 India 15 February 2017: Mahul Brahma won the "Ecommerce Communication Leader of the Year" Award at the “eCommerce Summit & Awards” on 14th February, 2017 at Taj Land's End, Mumbai. It is organised by CMO Asia and World Marketing Congress. He currently heads corporate communications and branding for India's largest B2B ecommerce company mjunction, a JV between Tata Steel and SAIL. 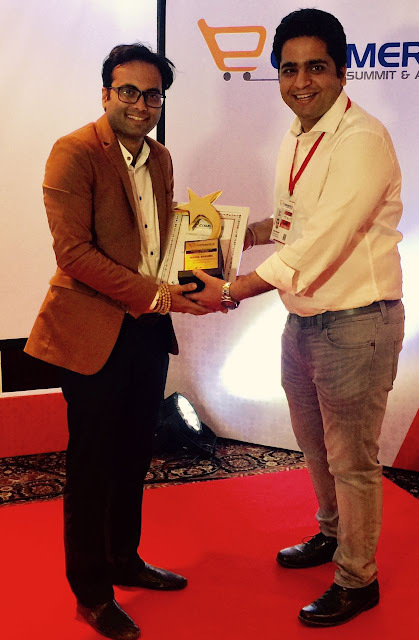 He is also the winner of Young Achiever Award in National Awards for Excellence in Corporate Communications in 2016. Mahul said, "ecommerce, especially B2B ecommerce, is a very challenging area for a communicator. Now it has become a battlefield with competition intensifying for mindshare as B2B and B2C demarcation slowly blurs in this ecommerce space. I am humbled to receive this recognition, especially on my birthday." He has been a senior journalist for a decade with publications like The Economic Times, CNBC TV 18 group, New York Times India partner FC, Reuters and DNA. Prior to mjunction, he was head of corporate communications and branding with Ambuja Neotia Group and also managed media for RP-SG group. Mahul is a guest columnist on luxury with The Economic Times -ET Retail. He is also author of "Decoding Luxe", a first-of-its-kind book on luxury brands, which has received praises and wishes from Mr Ratan Tata (Chairman Emeritus, Tata Sons), Mr D Shivakumar (Chairman, PepsiCo India), Mr Bibek Debroy (Economist, Author and Chairperson of Niti Ayog), among others. He has also completed two films as a lead actor. His debut short film was selected and screened at 69th Cannes Film Festival where he was invited in May 2016 for the screening.